Saying Goodbye (and Hello Again!) 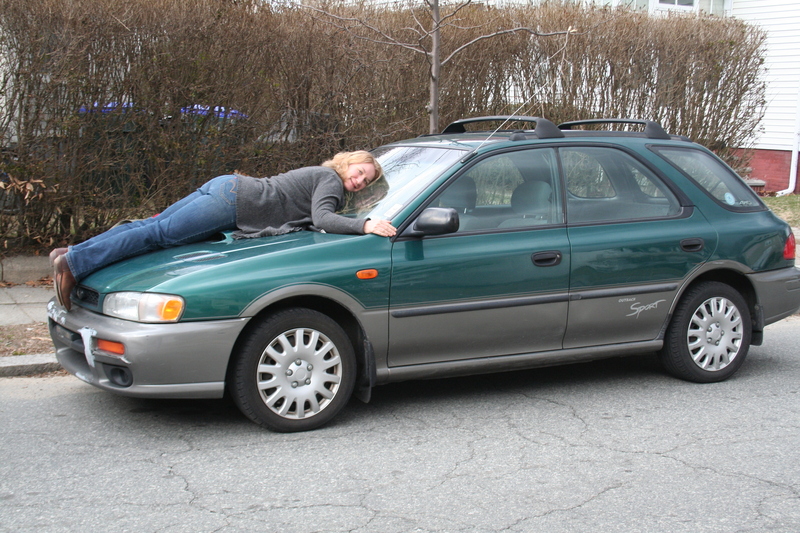 to My Little Green Subaru | Wake Up, Mama! I drove this thing for 13 years. It was 15 years old with 250,000+ miles on it when I finally replaced it with the minivan. It was the first car I owned that was expensive enough to need financing—all my previous cars were clunkers that I paid cash for. My interest rate was 17% because of stupid financial decisions made in my early 20’s and the consequences to my credit. I bought it because I was headed on the road for a travel nursing adventure and I needed something more reliable than my current shitbox. The second I saw it, I knew it was the one. That car took me across the country three times—Providence to Austin, Austin to Portland, Oregon, halfway down the West Coast, then from Marin County, California back to Providence. And countless side road trips during my travel assignments besides. I became a master at packing the hatchback for the next move, not wasting a square inch. I loved every mile and every minute of my solo travels. That car was my companion as I was blessed to see so much of this ridiculously beautiful country. When cross-country traveling days were over, it went with my husband and me on the cruise ship to Nova Scotia and took us all over the island on our honeymoon. 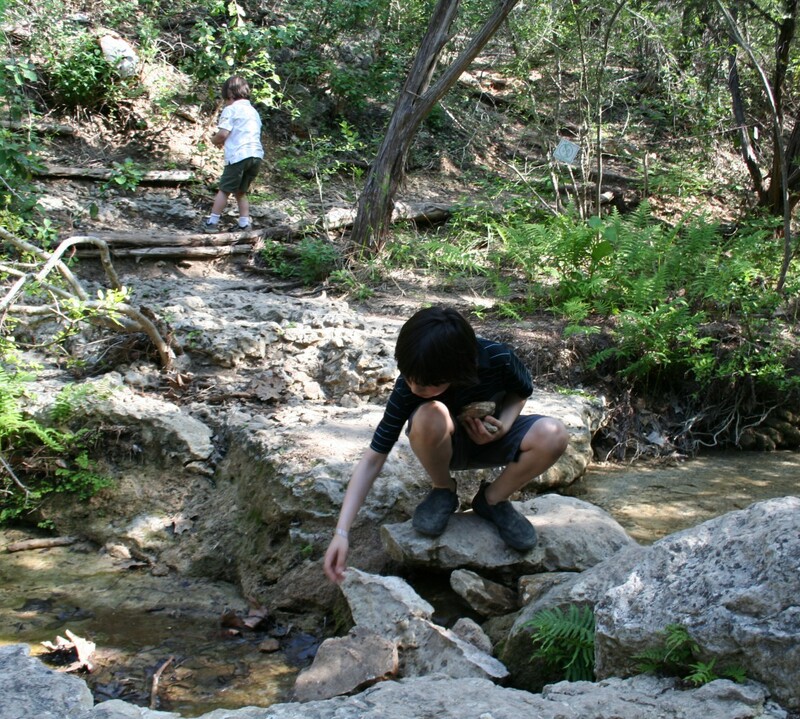 We stuffed it to the gills for countless camping trips. We brought both our babies home from the hospital in it. After I became a midwife, it got me safely to the hospital in snowstorms to catch babies. Crazy how attached you can get to a car. So many memories, and in 13 years, it never once left me stranded on the side of the road. I knew I needed to get this picture before I could let it go, and it took me a couple years, but I knew I’d have to write it this love letter, too. We knew we wouldn’t get much for it, so when I was finally ready to replace it, we decided to give it to our mechanic. He’s been good to us over the years, keeping our old cars running well for cheap. He was very happy and said he could do some work on it and sell it. Fast forward 2+ years–we were sitting in beach traffic at the end of the summer. My 5-year-old son said, “Look Mama, it’s your green car.” Of course, we assumed it was just another old green Ouback sport—there are plenty out there. When I noticed it had the same scratches on the rear bumper, I didn’t think much of it because I had noticed that bumper paint chipped easily on other similar cars. Then I noticed the familiar little dent in the passenger side door, but it still didn’t seem possible. As I was realizing that this was, in fact, my old car, I said to Gurpreet, “Isn’t that the same exact pattern of spots on the hood from the tree sap?” Yup. No doubt about it. My old friend came back to say “hi.” There was another happy family in it. A perfect end to a perfect beach day. Pingback: An East-West Love Story’s Strange Beginning | Wake Up, Mama!